new line of solid fabrics that are special. Special because they are grown, produced, dyed and finished right here in the USA! This is a rarity in the fabric world. Most of our fabrics come from across an ocean. Clothworks has devoted a lot of time and resources in bringing this product to you in your sewing room. Why not give them a try! Click on the links above to learn more of the story. And then come put it to the test! For some added inspiration, I am suggesting some relevant links that you might like to investigate. The Flickr website has several groups that are posting pictures of their City Sampler blocks. as well as individual blocks, and even ideas on fabric selection. of a collection of fabrics that were inspiration for the colors of the quilt. back to the original photos and explanation. The second site that I liked was 100 City Blocks. home-away-from-home for a year. I haven't retained the fluency of the language that I had at that time, but I do enjoy reading the 100 City Blocks blog and digging into the memory banks to translate it. 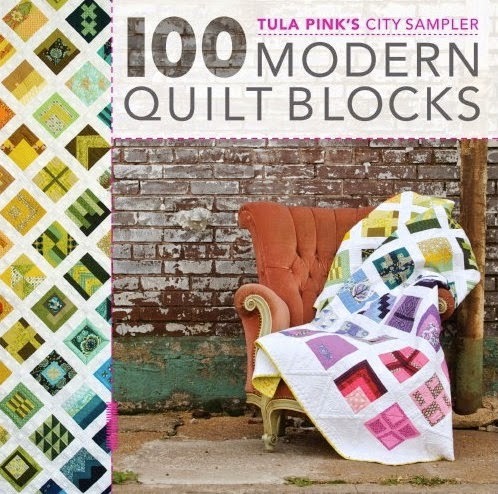 And last, but definitely not least, is Tula Pink's own blog and website. Tula is a creative genius with a flair for the unusual. and you have to look for some hidden design features in what she makes. 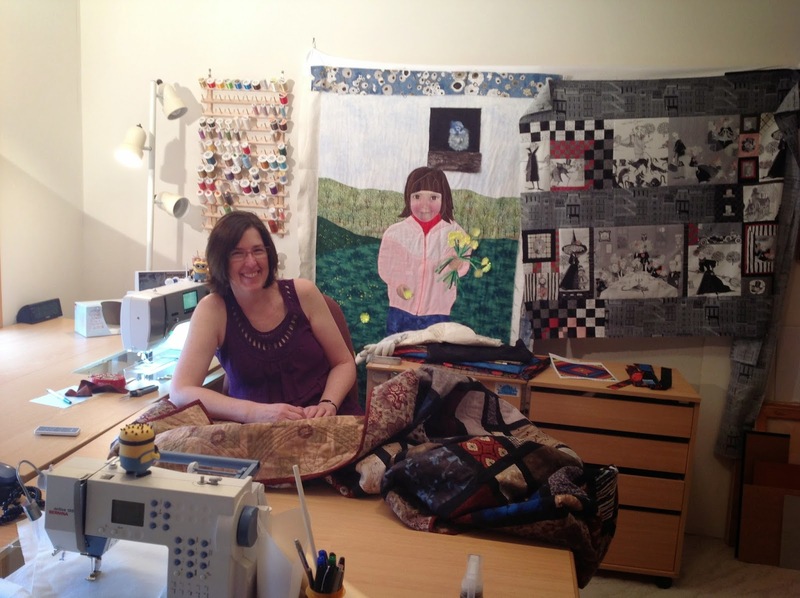 American Patchwork and Quilting's radio and podcast. The date was June 3, 2013.
laptop covers, or even fine art prints. On another topic, we just experienced 3 wonderful days of the Twin Cities Shop Hop (last Thurs.-Sat.). We had special guest designers every day, thank you, Debbie, for arranging all of that and making them feel welcome. We had a continuous demonstration of how to use the Basix block ruler, thank you Laurel for selling everything we ordered and then some! Thank you to the Patchwork Thursday group for volunteering to be greeters and stampers at the door. And thanks to our wonderful customers for showing up and making it a celebration of quilting! when Barb showed up at the store.